Second Income: How to earn extra money by working online? 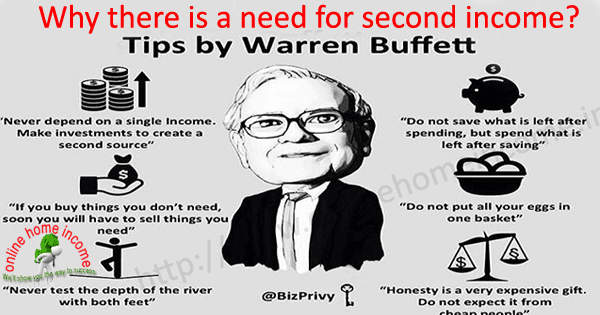 Study the different Second Income sources to make extra money online. One of the most widely discussed topics among most of the people was how to find the genuine second income sources to earn money to support their primary source of income. Money is Important. Of course, there is no doubt about it. Money is needed for everyone to fulfill their basic needs and for a few necessary wants. Without satisfying our basic needs and monthly budget, you cannot be happy in your life. Do you need a solution? Yup, a financial freedom that deserves you to buy anything the moment you want is nowhere, it’s here in this article. This is possible by leveraging the power of the Internet, through Online Jobs. We all talk about it, search for it on Google, but who get the success was the one who tried it? Yes, creating a successful business is like a constructing a new own house. Creating multiple streams of Income is becoming necessary for all, because due to the high rate of unemployment and lesser jobs availability. I will tell you the best solution, WHY is it necessary? we will discuss this in this article. In countries like India, if you account most youngsters have completed their engineering graduation and searching for suitable jobs. A study shows, on an average, every year nearly 1,00,000 lakh students completing their course and applying for jobs. 2.) Why is Day-Job not sufficient? 3.) Top reasons to search for a Second Job? I have been working on various part-time jobs and earning extra revenue starting from my college days. It’s not about having time for a side hustle, but the drive to search for the side-jobs. My ultimate aim is to lead a Boss-free life, no un-employment crisis ever in my life. I prepared a goal and a plan for my future. If you have true interest to Earn Money Online, then come out from the circle of your comfort zone, and search the internet to find some ways for extra second income. I will explain further in this article, about the different sources to earn extra money. Your time is the most profitable workforce to convert into money. Time is always directly proportional to money. When you ask people who commuting for Office Job, they say, salary is not enough to manage their monthly financial commitments. They work for more than 8hrs a day, but the stipend is not worth for their knowledge. Even married couples, they both commute to office jobs to lead a better livelihood because of individual income which is not sufficient. We all have dreams and the desired lifestyle. I am too dreamed of having my own free life but it took years to achieve. Trust me, you too can achieve by doing some side hustle jobs whenever you find free time (or) leisure time, and even daily in your evenings. Because it is easy, it is reliable, it is flexible, it gives more time. Health of an every family member is more important than anything. You should at least separate 10-15% of your monthly and save for an emergency or any future medical expenses. This comes in the very first instance when you ask anybody? If you have a genuine source to earn extra money, that will help you a long way in paying things like higher medical expenses and unexpected medical costs. In many companies, this is one of the biggest issues because most senior employees don’t get a salary for their performance. Instead, they will be paid based on the hour they present in the office or a slightly higher pay than what novice employee gets. If you work for 8Hrs a day, you will get Rs. 200 only which is not sufficient. People at the management levels can earn up to Rs. 1000 per day. However, this income is not sufficient to cover your family and personal expenses. You may question, Why? Because there is no permanent job ever especially in this tough recession. But a second income can help you deal with job loss or unemployment. There are many jobless graduates in India, who are still searching for the right job. But, what I am saying is, stop searching and start working online to earn extra money. Under No-Job or unemployment situation, it will be tougher to re-pay any existing loans and debts etc. If you know how to earn extra income, that will help to pay off your mortgage, automobile loans or credit card bills, which is of a greater use if you have an additional extra income source. This is one of the most awesome decision in choosing Online Jobs as an additional income. Having other sources of Income can be a greater help and supports you by not letting your retirement at risk. You can save for your children education or your family financial situation during your employment period itself. It is the most point for every entrepreneur. If you have diversified your income sources, then there will be no pain if one of your sources dries up. Because you are having other sources of backup income plan. Here are the different Online Jobs from home, that is a great source of creating such a second income. i.) There are so many other reasons that explain the necessity to earn extra money. You can create any number of additional income streams but the process will consume more time in making money online. ii.) There are plenty of benefits to creating additional income. It takes time to build a system that pays you back. Let’s discuss further in this article, on how to create a second income source? What Wikipedia Says: It is a type of performance-based marketing in which a business rewards one or more affiliates for each visitor or customer brought by the affiliate’s own marketing efforts. You will get money if you sell someone else’s product or service. Let me explain with an example: A musical shop in Chennai keeps selling CDs and DVDs through its physical store located in Chennai, TamilNadu. In this case, what will be the owner’s marketplace? It’s only Chennai. Similarly, if he is having a website means, he can expand his market outside Chennai and even broader. Think, you can have a discussion with the shop owner (Merchant) of taking a franchise and selling those CDs and DVDs on behalf of the merchant for a percentage based commission. This is what we called as Affiliate Marketing. 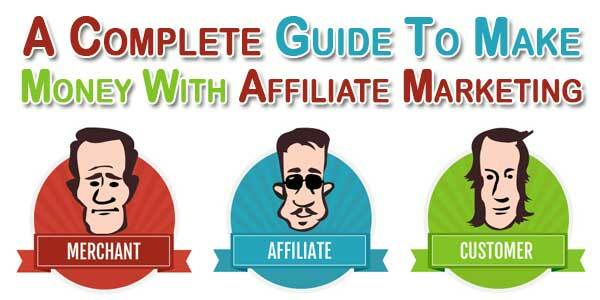 Many MNCs such as Amazon, Flipkart, Clickbank, Commission Junction have already analyzed this method of income source and designed a state of the art software that entirely manages this affiliate program. You need not meet the merchant and bargain for a franchise or commission. You just simply register an account with them for free and log in to your account dashboard to get link codes. Place the code on your blog or website, promote on your social media and bring the sales as much as you can to earn a higher commission. This can be done in part-time as a side hustle that helps to generate a passive second income at home. i.) A blog or a strong Social Media. iii.) Product knowledge and market trend. Creating a blog or a website still remains a most profitable way to earn an additional income online. But it is the most competitive venture because of the awareness among many people from the different sector. At the earlier stages of the Internet, only a few companies have started a website to expand their market and to sell their products or services abroad. But with leverage growth and advancement in the Internet, blogging lets every people use the opportunity to make a second income through online jobs. Creating a blog does not need an experience and even a newbie can start blogging easily. CMS such as WordPress, Blogger’s blog has made it even easier. Here’s is my research paper on starting a successful blog in 2018, a practical working start-up plan. Blogging requires time and passion because it takes time to build the reputation and attract visitors, who can spend a significant amount of time on your blog. So that they get converted either into customers or return visitors. i.) Blogging is the legit source of passive income from online to earn extra money. ii.) It requires more time and passion. iii.) Registering a blog is easy and use WordPress to launch your first blog. iv.) Publish new articles on the subject frequently to drive more visitors and rank well. This may sound interesting huh! but it requires a fair amount of technical knowledge and expertise. Mobile communication at their early stage was only used for voice calling to send and receive information and messages. The next generation of mobile technology was Java-based mobile phones with some additional features such as Radio, inbuilt music station, games etc. Further, the technology was innovated more and smartphones came into existence as the result of this evolution. With this, you can do anything, and everything, voice call, video call, games, surf the Internet etc. If you know to create smart-phone apps for a specific task, you can easily build an additional source of second income online. 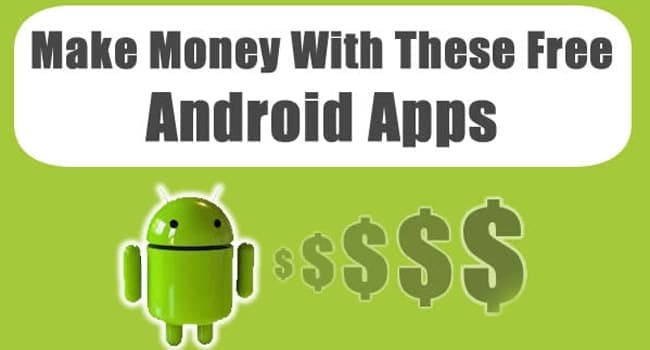 Task-specific apps, money-making apps are becoming more popular and those developers are making a lot of side income online. This is most suitable for the people who have interest in taking videos, photography, teaching etc. You-Tube was a video-sharing site started by Google, now ranked #1 in the world. You can find trillions of videos in any niche – online jobs, offline jobs, educational courses, job training, academic courses, lifestyle training etc. etc. 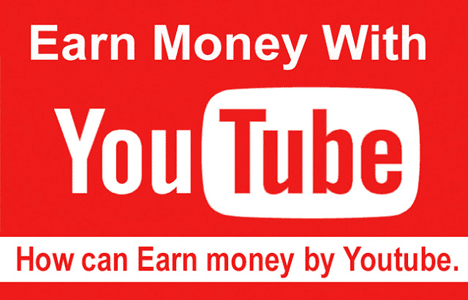 Most people were earning a considerable income through uploading their videos in their channel online. But your video must be unique, and informative, creative and it should put some knowledge to the people. Writing and publishing an E-book has become a wide source of earning a passive long-term income in the last few decades. You can write on any topic like online marketing, online training, educational courses, business start-up advice, business development advice etc. 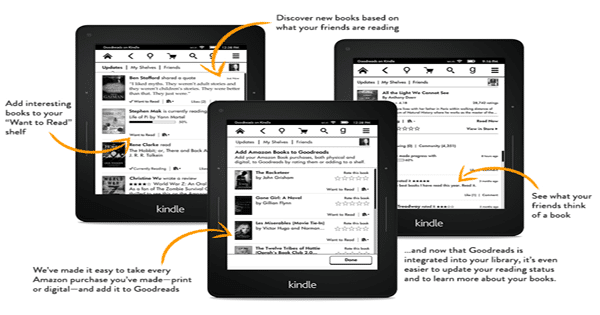 Once you have written an E-book, you can put it for sale on different online platforms such as Amazon’s Kindle publishing or Apple’s Itunes Connect. Audio Books are becoming popular and we can say it a revolution of Ebook. People often bored with reading lengthy paragraphs in a big book. But if you can convert into the audiobook and publish online, will turn into a great way of boosting your second income online. Amazon’s Audible ACX platform connect different authors with producers who can convert their Ebook into Audiobook. FYI: There are so many thousands of books available. If you can able to write an E-book or an Audiobook, you can make money by selling it or else you can participate in Amazon Affiliate Program to sell other merchants books and make a considerable side income. Friends, I have shared online a few nice and interesting pieces of information about making a second income from by working from the comfort of your home and whenever you find free time. The only requirement is your real interest and the passion to earn extra money. I know that these ideas have a lot of information and it refreshes your mind. An extra income, says an addition of Rs. 10000, or Rs. 20000 in your add in your bank account by doing side-hustle jobs will be a greater relaxation know. It’s simple, but not an easy task. It consumes time, and you should come out of your comfort zone and accept some pain in order to implement it. People who never takes an extra effort were never created any additional income in their lifetime. Find the possibilities in every opportunity. The Internet has huge online Jobs other than the above mentioned but the above were the most successful second income opportunities. Think about it and plan for your action today. Happy Earnings and best wishes from Online Home Income. What idea do you choose?